The time when we need to queue for our banking transaction maybe is in its phase of beginning of the end. Through out history the banking and monetary system has evolved dramatically. Starting with precious metals as currency, its then replaced by the paper or fiat money. Although some might argue that fiat money is not a real money. Technological advance has brought the monetary system into new level, we are in the age where money is already digitalize, most of the transactions today is no longer physical, rather just digits in computer screen. Our transactions, be it in the mall, paying your university tuition fee now made easier with this digital money, all you need to do is swipe a card or click a button on the computer screen. I am a traditional people, I do like the traditional transaction, hand over the money, get receipt, where you can see real people, hold real physical money in your hand. But, no matter how hard you resist, there will be a time when it will made you realize that resisting is futile, the world is changing, like it or not. Over time the traditional method will fade and you need to get used with the more and more sophisticated way of doing things.No one is going to counter today to buy an airline ticket, you got to face it. 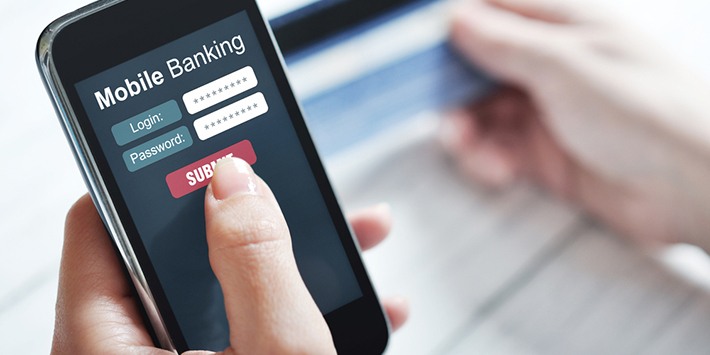 With the advance in telecommunication, banking right now is not only going online. Banking now is mobile, you can do transaction on the go, no need of laptop or pc anymore. All you need is just your phone (obviously a smart phone). I do transfer money a lot via online. Be it for plane ticket, or buying goods or apparel. I recently discover that Maybank have set up their own app. The interesting part with the apps is the ‘Quick balance’ feature, where you didn’t need even to login to see your current account balance! All you have to do is insert your code number. Obviously there are some step to enable this. First you have to log on to you maybank2u account (not in apps), go to utilities and update your contact information where you need to enter your phone number. After you have finished, go back to the apps where you need to register with card number/ account number and ID number. If your card number did not work, key in your account number. The system will send you an OTP and you need to build your code to access your balance. Voila! Now you did not need to find any ATM to check balance, or open your laptop. Its happening on the go!